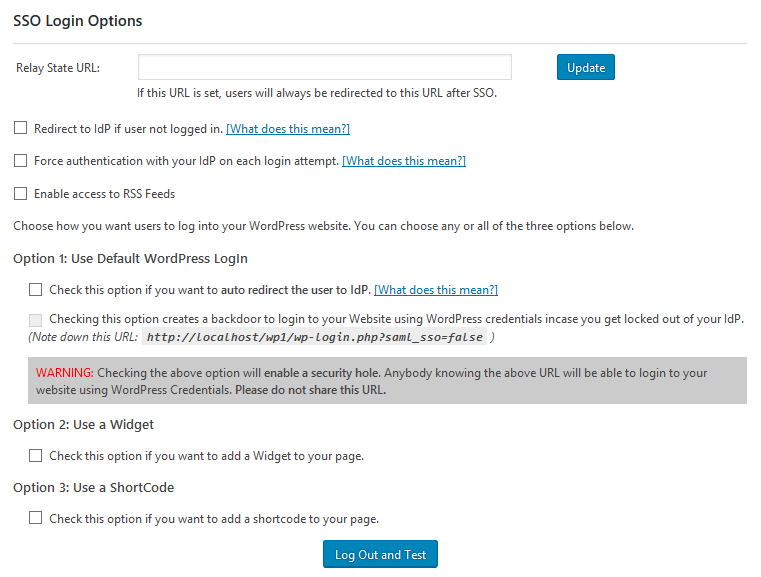 miniOrange provides a ready to use solution for Wordpress. This solution ensures that you are ready to roll out secure access to your Wordpress site using ADFS within minutes. 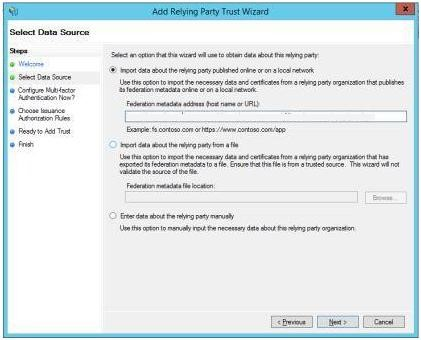 In ADFS, click on Add Relying Party Trust . Then click on Start . In Select Data Source: Select Import data about the Relying Party published online or on a local network and enter the metadata URL provided in the Configure IDP tab of the plugin. Click Next . In Specify Display name: Enter Display name . Click Next. In Configure Multi-factor Authentication Now, select I do not want to configure multi factor authentication settings for this relying party trust. Click Next. 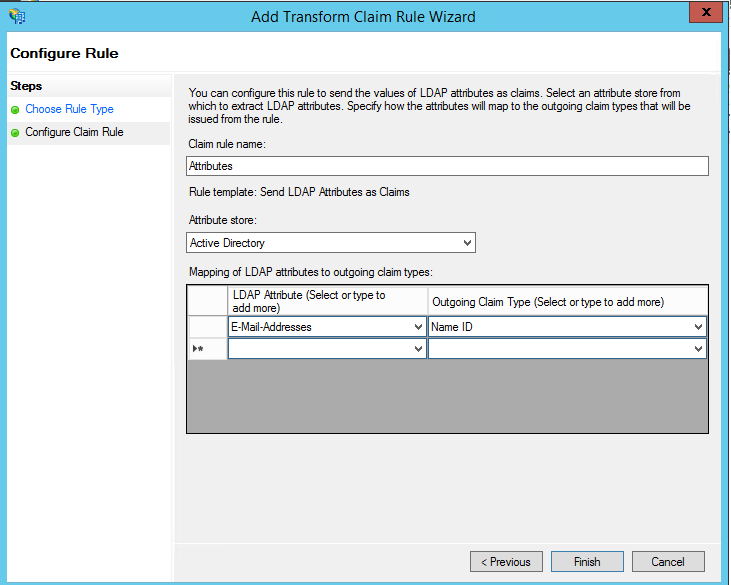 In Choose Issuance Authorization Rules, select Permit all users to access this relying party. Click Next. In Ready to Add Trusts, select click Next. Click on Upload IDP Metadata. Upload metadata file and click on Upload. Enter Metadata URL and click on Fetch Metadata. Provide the required settings (i.e. Identity Provider Name, IdP Entity ID or Issuer, SAML Login URL, X.509 Certificate) and save it. Attributes are user details that are stored in your Identity Provider. Attribute Mapping helps you to get user attributes from your IdP and map them to WordPress user attributes like firstname, lastname etc. While auto registering the users in your WordPress site these attributes will automatically get mapped to your WordPress user details. 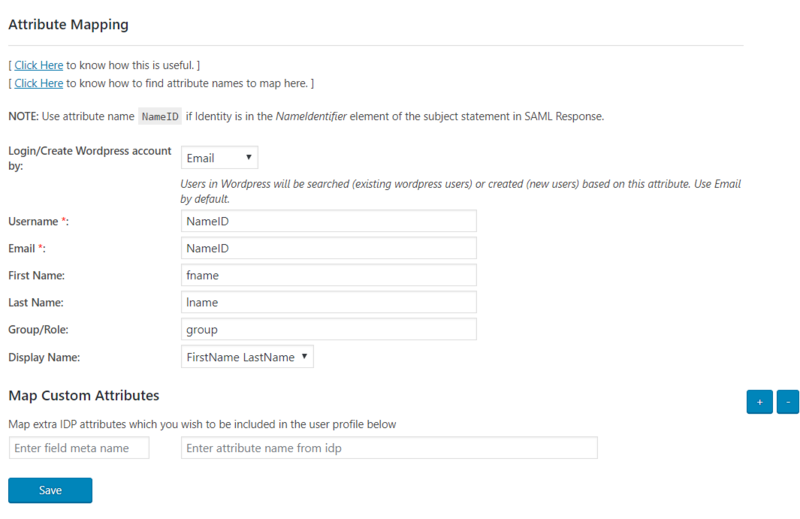 In miniOrange SAML plugin, go to Attribute/RoleMapping tab and fill in all the fields. STEP 4: Role mapping (It is Optional to fill this). WordPress uses a concept of Roles, designed to give the site owner the ability to control what users can and cannot do within the site. WordPress has six pre-defined roles: Super Admin, Administrator, Editor, Author, Contributor and Subscriber. Role mapping helps you to assign specific roles to users of a certain group in your IdP. 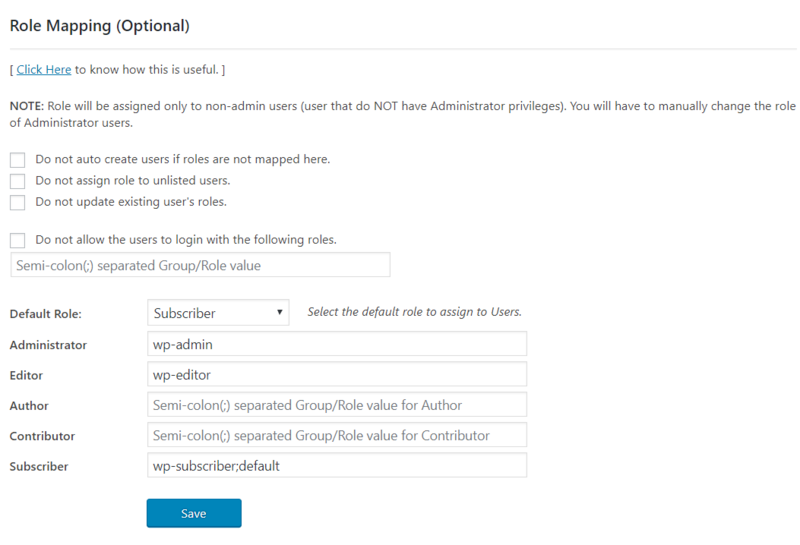 While auto registering, the users are assigned roles based on the group they are mapped to. Go to Sign In Settings tab. Enable auto-redirect to IDP using Redirect to IdP if user not logged in option.